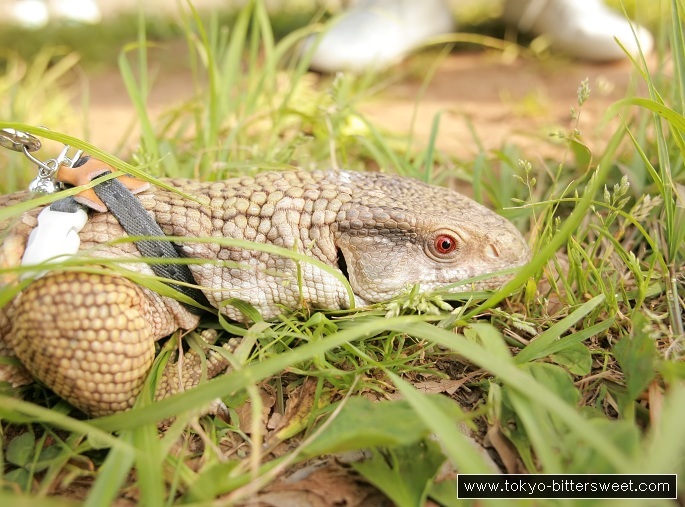 On the weekends Yoyogi is the place to go if you want to walk or check out weird pets. All kinds of dogs can be seen, but often people show up with more exotic animals. 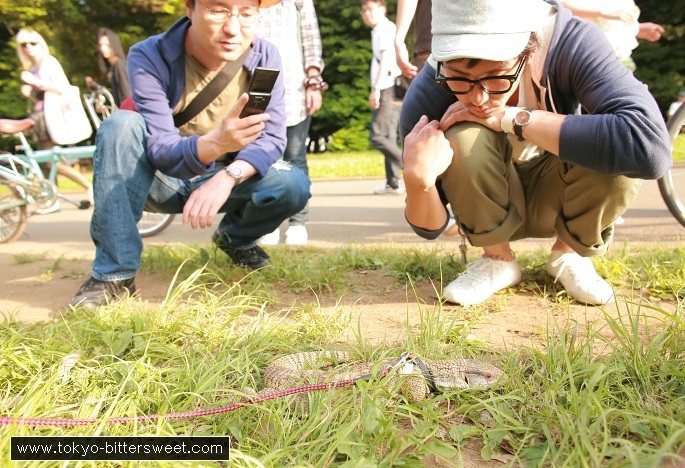 For example, a young man was walking his pet lizard in the park and constantly passers-by would stop and gaze at the reptile. I took a couple of shots, too.